MLP/Anime. 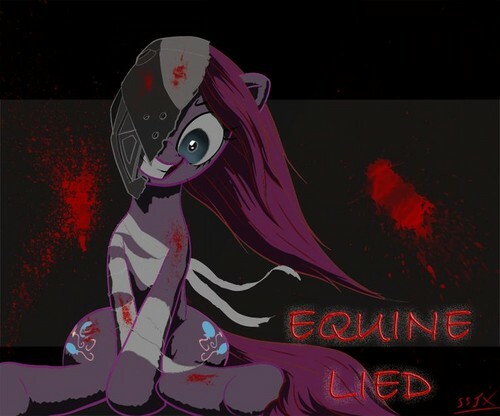 MLP and Elfen Lied. HD Wallpaper and background images in the My Little Pony - Friendship is Magic club tagged: photo. This My Little Pony - Friendship is Magic photo contains anime, truyện tranh, phim hoạt hình, and manga. Who the hell is he talking about? My God, as if I didn't feel old already. link used to be one of the most active members of this fanspot. He was known for occasionally getting super rage-y for who-knows-why, and although he was a nice enough guy, it got a bit grating. Seriously, to this day he's still #217 on the list of fans by order of how much they contributed to the club. Which is no small feat in a group of 6,000+ people. I swear it's like sometimes you guys are TRYING to ignore the fact that this spot has such a storied past. So this guy went on rages. Sounds like Windwaker. XD, not really, I'm just joking.